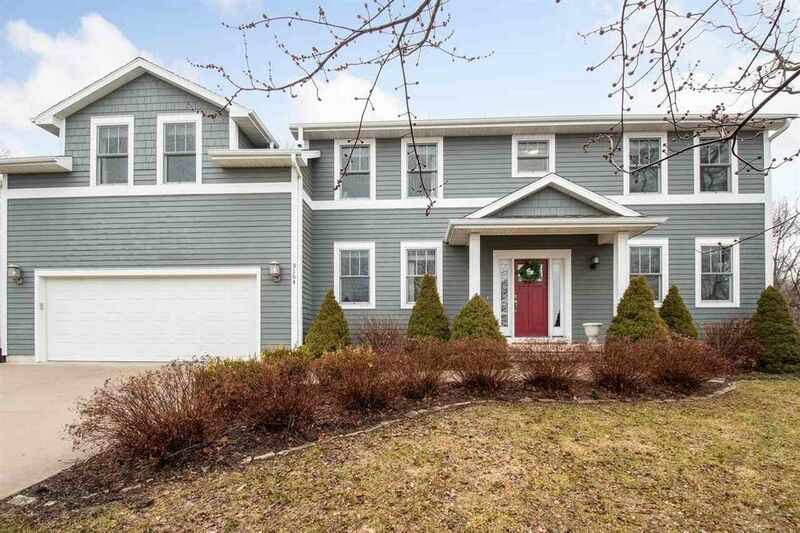 Delightful two story situated on private cul de sac with spacious yard and wooded views. Interior with fresh, modern decor including new contemporary lighting fixtures, painted white trim, designer wall paper and hardwood floors. Practical floor plan with main floor study/bonus room; LR with fireplace; four upper level bedrooms and laundry room; mudroom with lockers and cubbies; large screen porch. Great location, just north of I80 with close proximity to downtown IC, North Liberty and Coralville strip.